A mock poster idea for soliciting funding for Smokey. 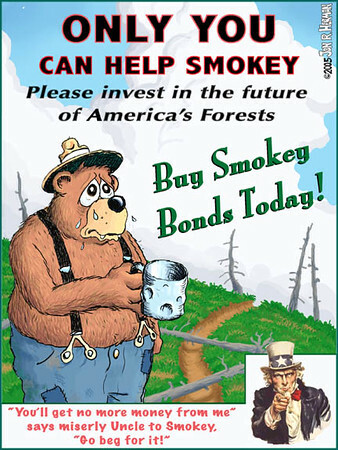 This was made during Congressional funding cuts for the Forest Service. The budget has done nothing but decline ever since. Maybe it's time to use this poster!